Up to 2 feet tall, with leaves sheathing the stem like grass, the 12mm-20mm head is covered by two papery bracts. 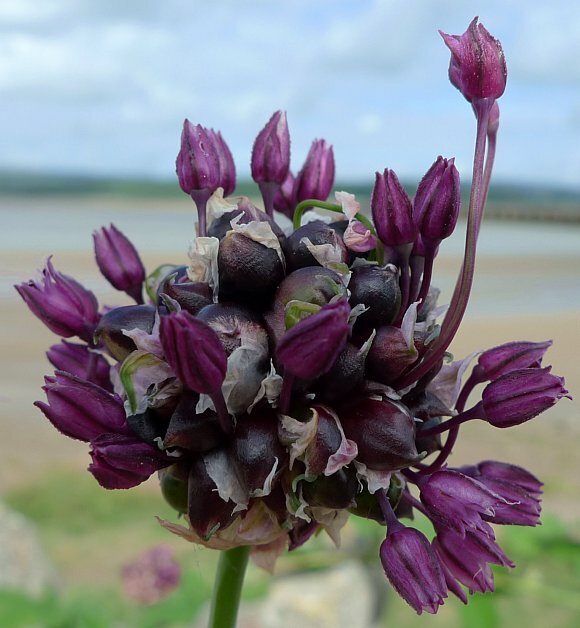 The two bracts peel away revealing the contents to be a mixture of bulbils (small dark onion shaped objects, themselves covered in papery bracts) and twenty or so purple flowers projecting out on long stalks at any sort of angle. Arnside viaduct in background without steam train. At various places long, round and narrow green serpent-like growths will emerge in due course from small beginnings. 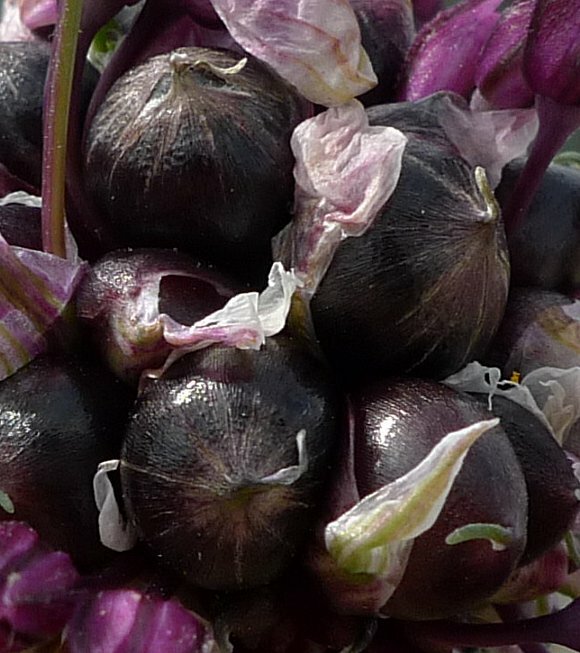 The bulbils, greenish at first, turn a beetroot purple soon afterwards. 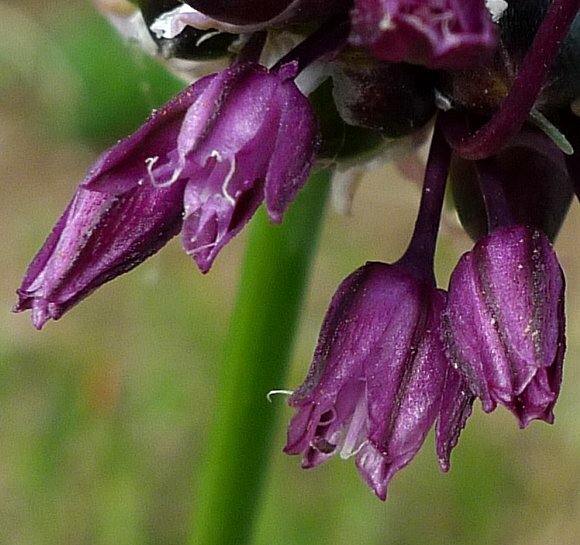 The flowers have a semi-metallic sheen. The flowers never fully open, and have six pointed petals without stamens protruding from them. 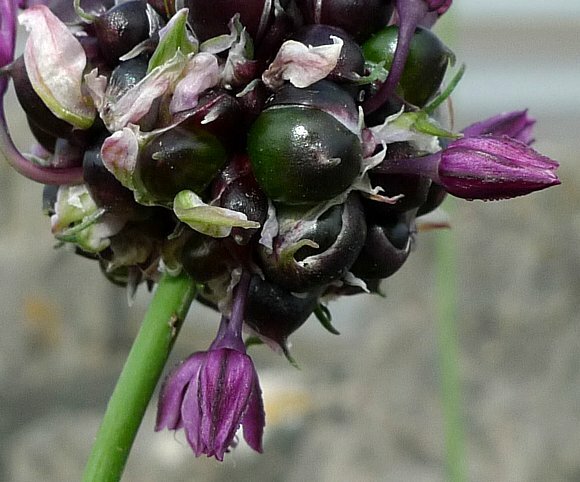 The bulbils look like tiny onions. 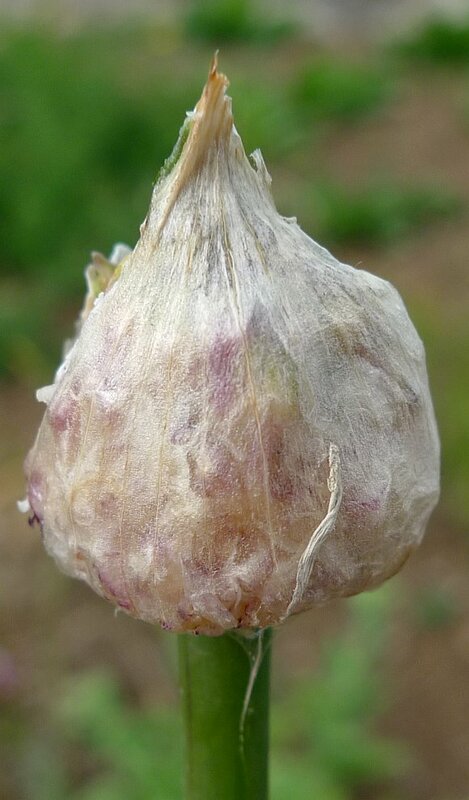 The bulbils look like tiny onions with their papery bracts still adorning them. It is these from which the 'green-serpents' emerge (bottom right). 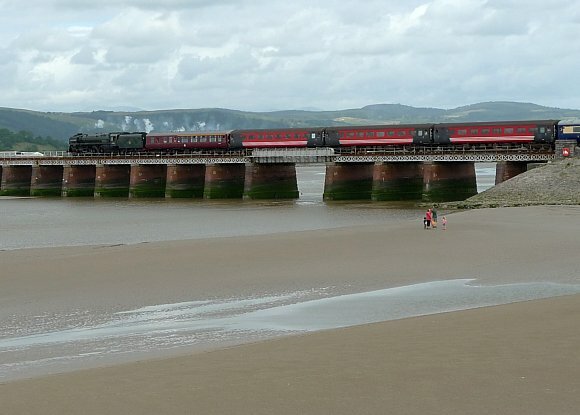 Arnside viaduct with 71000 2-6-4 Duke of Gloucester steaming on it. 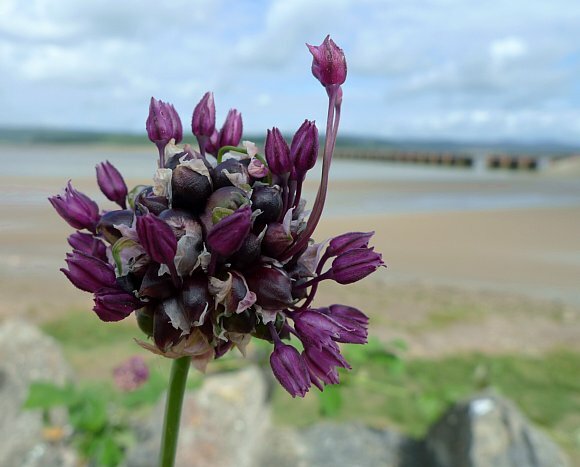 Easily confused with : Crow Garlic but Crow Garlic has stamens which protrude from the flower, and its leaves are cylindrical and hollow whereas they are flat and grass-like on Sand Leek. 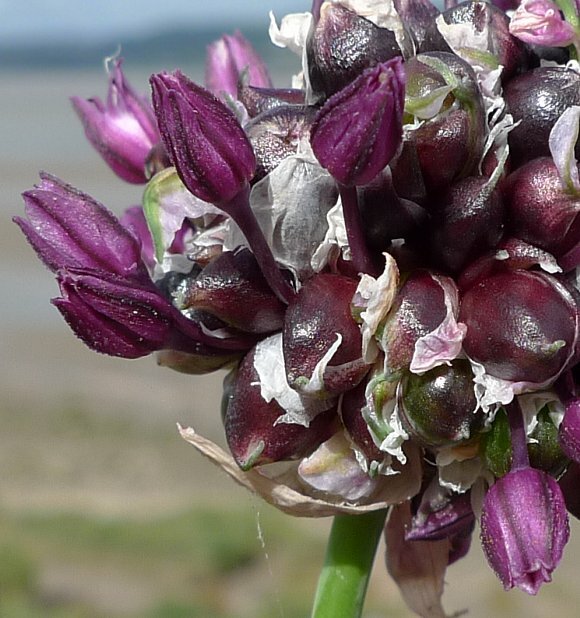 Also, Crow Garlic can grow larger than the 2 feet of Sand Leek; up to 4 feet tall. The bulbils are the means by which it propagates when they fall to the ground. No relation to : Sand Pansy, Sand Toadflax , Sand Catchfly , Sand Spurrey or Sand Crocus [plants with similar names].